A future subway station in Beverly Hills could be one of the first in Metro’s rail network to include public restrooms. It could also have dogs trained to sniff out bombs—and 24/7 security. Metro is still working out terms with the Beverly Hills for how to carry out a segment of its Westside Purple Line extension that passes through the city, but at a community meeting Wednesday, the agency announced details of a deal it will present to the Beverly Hills City Council later this month. If approved, it would grant key items requested by the city, including a second entrance to the Wilshire/Rodeo Station and a strong security presence at the train stop. Right now, Metro only has plans for one station entrance, on the south side of Wilshire Boulevard, between Beverly and Canon drives. But under the proposed agreement, Metro would pay half the cost of constructing a second entrance on the north side of Wilshire. 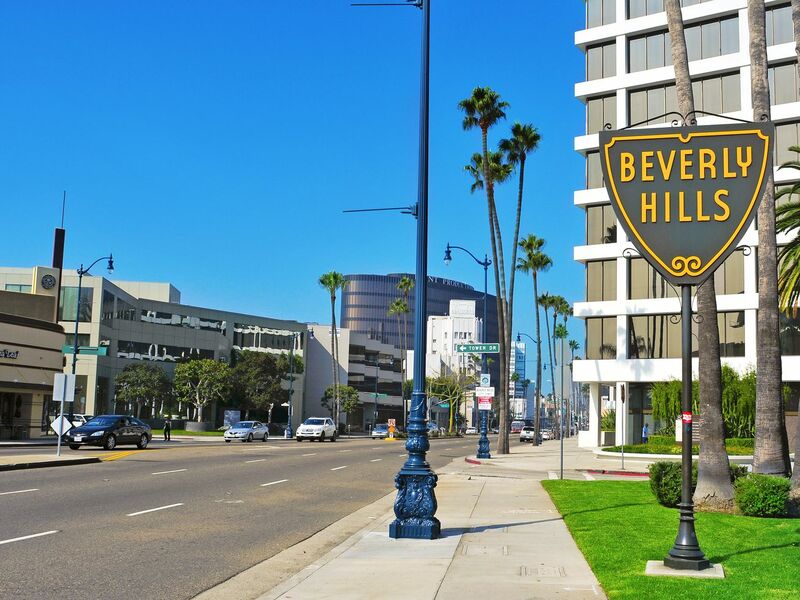 At a meeting in August, members of the Beverly Hills City Council argued that a north entrance would be necessary to ensure riders would exit the station in the city’s commercial district, rather than in the residential neighborhoods south of Wilshire. The agency would also provide for 24-hour security at the station, either through a contract with the Beverly Hills Police Department or by employing another law enforcement agency. In the latter case, Metro would need to ensure that bomb detection dogs, strict fare enforcement, and regular station cleaning are part of the arrangement. Under the agreement with Beverly Hills, Metro would also “cause [restrooms] to be constructed” at the station, though it’s possible the agency could rely on a private developer to make that happen. To avoid security and maintenance issues, Metro rarely installs public bathrooms at its stations. Only three stops in its entire system are equipped with restrooms. According to Metro’s presentation on the proposal, “additional protections” for Beverly Hills High School will also be included in the final agreement with the city. Metro spokesperson Dave Sotero tells Curbed these will include construction noise limits during school hours and air filters to be installed in the school’s portable classrooms. The project has inspired fierce resistance from the Beverly Hills School District because of Metro’s plans to tunnel below the high school. Opponents have sued to block the project multiple times, arguing that the tunneling could disturb old oil wells underneath the campus, releasing toxic gases. According to Metro’s environmental review of the project, the agency will use “magnetic sensing” to locate abandoned oil wells that may be in the project’s path. Even if a tunnel-boring machine should collide with an overlooked well, Metro maintains that it’s “highly unlikely” that harmful gases would escape to the surface. Tunneling began last year on the first phase of the Purple Line extension, which will bring the train from Koreatown to the intersection of Wilshire and La Cienega boulevards. Tunnel work on the second phase of the line, which will pass through Beverly Hills is on track to start later this year.